On 16 August 2018 the Insurance Corporation of British Columbia (ICBC) submitted a rate design change request to the BC Utilities Commission. Although this is one of the most significant rate reforms in decades, the Government required a “streamlined” review process, with only two hearing days, on September 4 and 6, which minimized public involvement. The BCUC approved most of the proposed changes. Here is a summary report by Todd Litman, an intervener in this process. Click here for a more detailed report. The proposal includes two types of rate changes: legislatively mandated discounts for seniors, vehicles driven fewer than 5,000 annual kilometres and vehicles with new safety technologies, and other rate changes submitted by ICBC. The legislatively-mandated changes were declared outside the BCUC’s scope so no analysis of their impacts was considered in the hearing, but since these changes are interrelated, it is impossible to analyze their impacts separately. For example, since the changes are revenue-neutral, the mandated discounts for seniors, low-mileage and new vehicles will increase premiums for other motorists, but since those changes are outside the BCUC’s scope; no information was provided on who will bear higher costs. Without comprehensive analysis it is impossible to determine whether these changes actually increase fairness (premiums more accurately accurate) and affordability (reduce costs relative to incomes), as the government claims in its press release. For example, the legislated discount gives motorists over 64 years an additional 15% discount (7.5% if they had an at-fault crash within the last decade) and ICBC proposes extending the claims-free experience discount from nine to 40 years. Together these changes will significantly reduce premiums paid by seniors, so non-seniors premiums must increase. The analysis provided (illustrated below) only considered the extended experience discount, not the legislated senior discount, and failed to analyze how these changes together will affect overall fairness and affordability. Although the extended discount may be actuarially justified, the additional 15% senior discount is probably not. If that is true, the new rate structure will reduce fairness. A 15% discount applied to the approximately 14% of motorists who qualify will increase average premiums about 2% (approximately $24 annually) for drivers under 65 years, particularly those with less than 15 years of experience, which includes most motorists under 30 years of age. This group tends to have lower incomes and less wealth than older motorists, as illustrated below. As a result, this is probably regressive with respect to income. The 10% discount for 5-10% of under 5,000 km vehicles should increase average premiums for motorists who driver their vehicles more than 5,000 kms about 0.5-10% ($6-12 annually). Since rural motorists tend to drive more than urban motorists, this will increase rural motorists’ premiums. This is different from Pay As You Drive pricing which incorporates territory, rural areas have a higher discount cut-off. Since lower-annual-kilometer vehicles tend to have lower crash rates, this will probably increase fairness, and if lower-income people tend to own under-5,000 km vehicles, it will increase affordability. The 10% discount for vehicles with new safety technologies will increase premiums for older vehicles. Assuming that 10% of vehicles will qualify for this discount, it will increase other vehicles’ premiums by 1%. If this discount causes many BC motorists to purchase vehicles with these safety features who would otherwise not, and if these technologies actually reduce affected vehicles’ claim costs at least 10% on average, some of ICBC’s lost revenues may be offset by claim cost savings, but these effects are likely to be small. Many other factors affect vehicle purchase decisions, few motorists who drive older vehicles will purchase a new vehicle, and few new vehicle purchasers will choose a different vehicle just to obtain this discount. Since few lower-income motorists own vehicles with advanced safety technologies, this is likely to reduce affordability, at least during the next decade, until vehicles with these technologies are affordable to lower-income households that purchase used vehicles. The table below summarizes the cost burdens, fairness and affordability impacts of the three legislatively-mandated discounts. Some of these changes are likely to increase unfairness and inaffordability overall. 15% discount for claims-free motorists over 64 years, and 7.5% discount for those with one at-fault crash during the previous decade. This is in addition to a significant extension of claims-free discounts, which primarily benefits seniors. A 15% discount applied to the approximately 14% of motorists will increase average premiums about 2% ($24/yr) for drivers under 65 years. 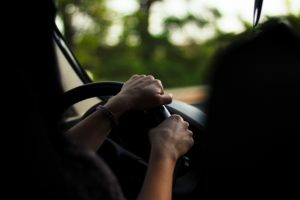 Although senior drivers tend to have low crash rates, due to their low annual mileage, the extended claims-free discount should account for this. There is no evidence that this additional discount increases fairness or affordability overall. 10% discount vehicles driven less than 5,001 annual kilometers Will increase the premiums of the 90-95% of vehicles driven more than 5,000 kms by up to 1% ($12/yr). Most rural motorists will probably pay more. Low-mileage vehicles tend to have low crash rates, and are often owned by lower-income motorists, so probably increases fairness and affordability. 10% discount for vehicles with new safety features. If this discount applies to 10% of vehicles, it will increase premiums for older vehicles 1%, although these additional costs could be reduced if this discount significantly increases vehicle safety. If the new technologies reduce vehicle crash costs by at least 10%, this discount will be actuarially justified. New vehicles tend to be owned by higher income households, so will probably reduce affordability. The legislatively-mandated rate changes are unlikely to increase overall fairness and affordability, as the government claims. These impacts were outside the BCUC’s scope, so no analysis was provided of these impacts. The Government claims that this package of rate changes will increase fairness and affordability, and some changes probably will, but since no analysis was provided about the mandated changes, and since their impacts are interrelated, it is impossible to evaluate these claims. In fact, these discounts are likely to increase premiums for many younger, immigrant, older-vehicle-owning, and rural motorists, groups that tend to earn lower incomes, so these changes probably reduce affordability. Younger and immigrant drivers will pay more, not because they are “bad drivers,” as the government implies, but because they have driven too few years to achieve maximum discounts. The analysis could not really determine the degree that these rate changes actually increase overall fairness and affordability, and whether other rate structures might be better at achieving these goals. In response, the ICBC attorney stated (p. 365), “the concepts of fairness and affordability take on the meanings that they have been ascribed by government.” In other words, fairness and affordability mean whatever the Government wants. ICBC does not collect data on their clients’ incomes or annual vehicle-kilometers so it is not possible to evaluate affordability impacts or the relationships between annual vehicle travel and crashes. ICBC’s analysis explicitly assumed that the rate structure does not affect crash rates and claim costs. However, extensive research indicates that PAYD pricing can significantly reduce crashes and claim costs. With fully-marginalized PAYD pricing, premiums would be about 6¢ per vehicle-kilometer. Assuming a normal price response, affected motorists would drive 10-12% fewer annual kilometers, and because higher-risk drivers would pay more per kilometer, and most casualty crashes involve multiple vehicles, crashes, claim costs and casualties should decline by 15% or more, providing ICBC with large net savings, plus large reductions in risk. Even motorists who do not reduce their mileage would be safer if others, particularly higher-risk drivers, reduce their annual vehicle travel. The new low-mileage discount will do little to reduce crashes and claim costs. Most motorists, those that would drive less than 5,000 kms anyway, or that drive more than about 6,000 kms, are unlikely to be affected by this discount; it may cause motorists that would have driven 5,000-6,000 annual kilometers, representing 1-2% of all vehicles, to reduce their vehicle travel below the 5,000 kilometer target. As a result, it is likely to reduce less 0.1-0.4% of annual kilometers, a tiny fraction of crash reductions and savings possible from fully-marginalized PAYD pricing. These rate changes are apparently based on political expediency rather than objective actuarial analysis or public policy goals. The Rate Fairness Engagement explored motorists’ preferences, but apparently few understood key issues. For example, the survey asked whether “The distance a vehicle is driven each year should play a greater role in determining insurance rates,” without providing information on resulting fairness, affordability and traffic safety benefits. Many of the comments indicate that respondents misunderstood the concept, for example, assuming that distance-based pricing reduces actuarial accuracy or increases rural and commercial vehicle premiums (it would only increase premiums for rural or commercial drivers who drive more kilometers than their rate group average). Had the engagement process provided more information on distance-based insurance on the potential benefits the result could have been very different. For example, had the question asked, “Would you support distance-based insurance rates if this increases fairness, reduces crashes, and offers motorists a new opportunity to save money?” support would probably be much higher. By introducing some ICBC rates changes legislatively, it avoided the public oversight that the BCUC is intended to provide. The Government claims that the package of changes will increase fairness and affordability, but provided no analysis of legislatively-mandated price discounts. In fact, ICBC lacks the data needed to evaluate the safety and affordability impacts of these changes. Some changes, such as higher rates for high-value vehicles and for drivers with multiple at-fault claims, probably will increase actuarial accuracy. They will increase affordability for some groups but reduce it for others, particularly drivers under 30 years old, many immigrants, owners of older vehicles, and rural motorists. Many of these changes are likely to be regressive (they harm lower-income motorists), reducing affordability. Alternative rate changes can do more to increase fairness and affordability, plus reduce traffic accidents, traffic congestion and pollution emissions. In particular, PAYD pricing significantly increases actuarial accuracy, and redefines affordability by allowing motorists to save money by reducing their mileage and therefore crash exposure. This is progressive with respect to income and reduces the need to over-charge lower-risk drivers in order to keep higher-risk drivers’ premiums affordable. It can also reduce vehicle travel, and associate problems, by 10% or more. For more information see the PAYD in BC Backgrounder or contact me (litman@vtpi.org).